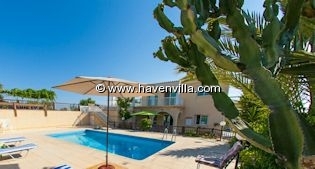 Coral Bay is a popular destination for villas. 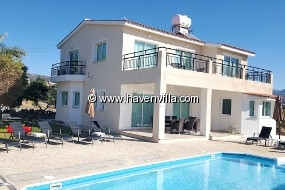 Our Cyprus Holiday Villas in Coral Bay's golden beach attracted plethora of tourist all over the years. 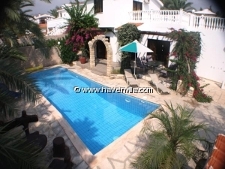 Choose to rent from our extended list of villas and apartments in Coral Bay Paphos. 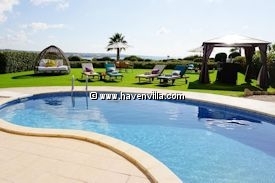 Come and see the magnificent "Coral Bay Beach" and enjoy your stay in Paphos's Coral Bay private villas. I'm sure you will come back again! I loved Coral Bay since I was a kid and it is still the same! The only difference is that there are more people now enjoying it. Why not to be one of them. Details: 3 bedroom bungalow in Coral Bay, walking distance to all amenities, bars, restaurants, shops, supermarkets and Coral Bay Beach. Details: Just 500 meters form the Centre of Coral Bay. Ideal for people who don't like to hire a car.